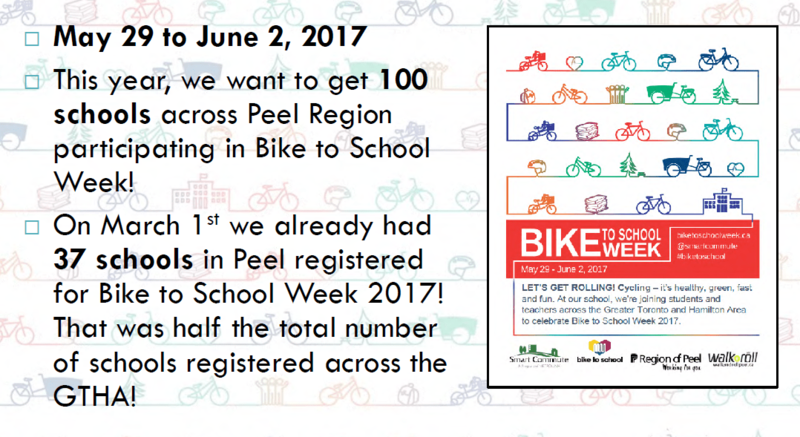 There will be a delegation from Erica Duque, Active Transportation Planner for the Region of Peel, on an Overview of Region of Peel Sustainable Transportation Strategy – Bike Month and Bike to School Week 2017. There will be an update from Nelson Cadete, Project Manager, Active Transportation about Signalized Cross-ride Comparison and Input. This item includes a diagram with design options that could be applied to accommodate different site-specific requirements. 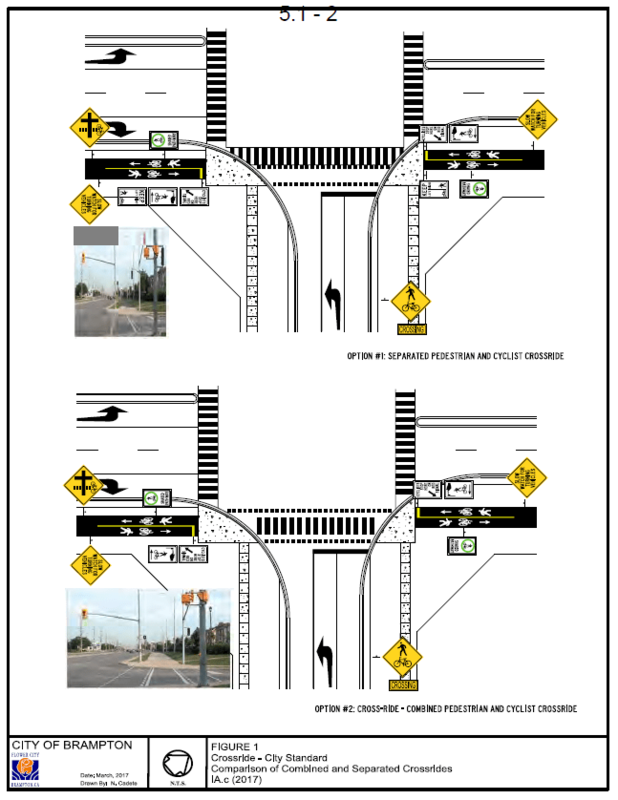 The BCAC will have an opportunity to give input to standardize the layout of Crossrides implemented along multi-use pathways within the roadway boulevard, and to have a formal position on a preferred option that can be shared with the Region of Peel. There will be updates from Dayle Laing, Member, about the Grow Green Network Launch Event and Bike to Work Day 2017. Dayle has a further discussion request on Committee Participation in Bike Month Activities and Promotional Materials. There is a discussion at the request of Kevin Montgomery, Co-Chair, on a Bike Month Proclamation, Active Transportation Master Plan – Policy Recommendations, Region of Peel Transportation Road Safety Strategic Plan – Workshop updates, attendance, and correspondence, and 2016 Committee accomplishments and 2017 Work Plan – review of presentation to Planning and Development Committee. The Committee has received correspondence from Share the Road Cycling Coalition, dated March 6, 2017, about Province of Ontario Should Invest $50 Million in Cycling Infrastructure.